Super Bowl XLVIII is making its way to New York this year, and if you were planning on serving up plain old beer at your Super Bowl party … fuggedaboutit. The folks at Ole Smoky® Tennessee Moonshine have come up with some New York style cocktails to keep your guests going strong through all four quarters. Ole Smoky is an authentic brand of 100 proof whiskey that will score you some major points with guests. With its distinct character and bold flavor, Ole Smoky will give your party the kick it needs. No fumbles or fouls here, just the sweet taste of victory in every last drop. 1part Ole Smoky Original Moonshine, ¼ part juice from Ole Smoky® Moonshine Cherries, ¼ part sweet vermouth, dash of bitters. Garnish with Ole Smoky Moonshine Cherries and orange twist. 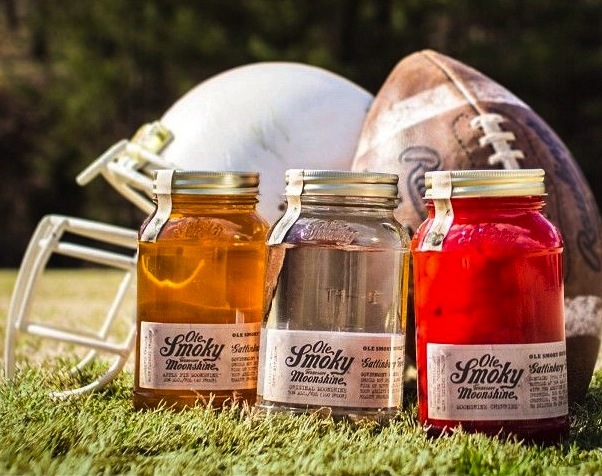 No matter who you’re rooting for, by the end of the game Ole Smoky Moonshine will have everyone feeling like champions! For further info check out www.olesmokymoonshine.com. Currently available in 49 states and Canada, Ole Smoky Tennessee Moonshine® retails at around $20-$25 per bottle with slight fluctuations by city, state and retailer. You can also find Ole Smoky on Pinterest, Facebook, Twitter @OleSmoky and Instagram @olesmokymoonshine.